After drinking a fizzy drink, or water - don't throw away the plastic bottle! Make plastic bottle cups instead. From holding your pens and other supplies; like paperclips and loose staple pins. 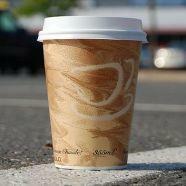 Impress your kids or even co-workers with your recyclable supply cups. Why waste money on brand new plant pots? Instead, carefully cut in half a plastic bottle and add in your seeds and compost. It's a fun, creative way to be more diverse with your free time and you're also saving the planet. Well done, you. While glass mirrors can be expensive, especially for large home projects, like mirrored wardrobes - Using an acrylic mirror, not only being less expensive, and easy to fit - these types of mirrors are stronger, more efficient as they use a plastic base which is mostly likely recycled from other plastic material.